Looking for a fiesta ranch dip? 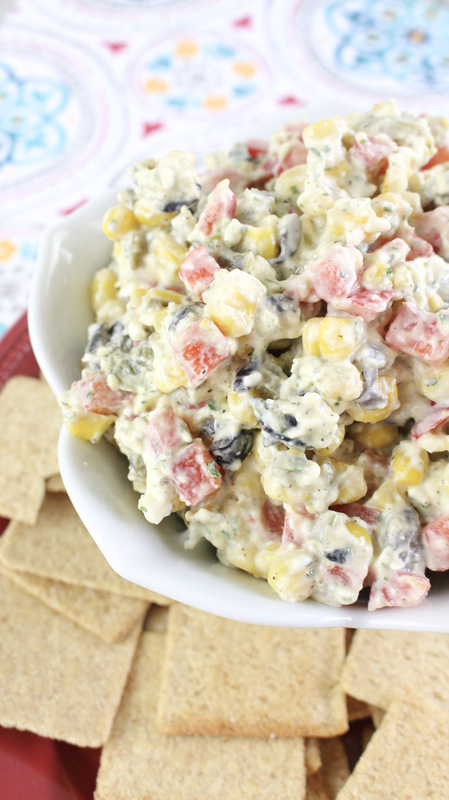 This Ranch Fiesta Dip is a delicious recipe that is perfect for a potluck or get together. There is nothing better than a get together during the warmer months. Picnics are something that happens around here often and we get invited to a lot. Of course, we always offer to bring something to the picnic, but hate to always be bringing the same thing. That’s where Ranch Fiesta Dip comes in! It is definitely not your ordinary picnic dish and is sure to please. This dip goes amazingly with any sort of chip or cracker it seems like. Picnics are not a serious meal, so snacking can go a long way. Normally there are sandwiches and of course fruits, but what is there to make the chips or crackers taste amazing? 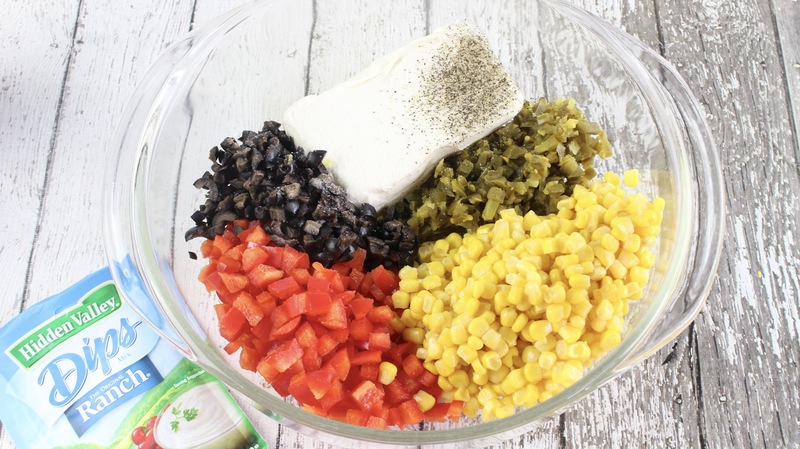 Fiesta Ranch Dip combines lots of yummy vegetables that you love along with Hidden Valley Ranch Dressing. It’s the taste your already know and love, but jazzed up! If you are in a rut of what to bring to the next get together or picnic, I hope that I have helped your creative juices flow with this recipe. Ranch Fiesta Dip is going to be something unexpected by all that attend and they will leave asking you how to make it. It’s that good. I promise. So you may want to be able to share the recipe or you can always just leave them wanting more the next time you have a picnic together. I won’t judge! 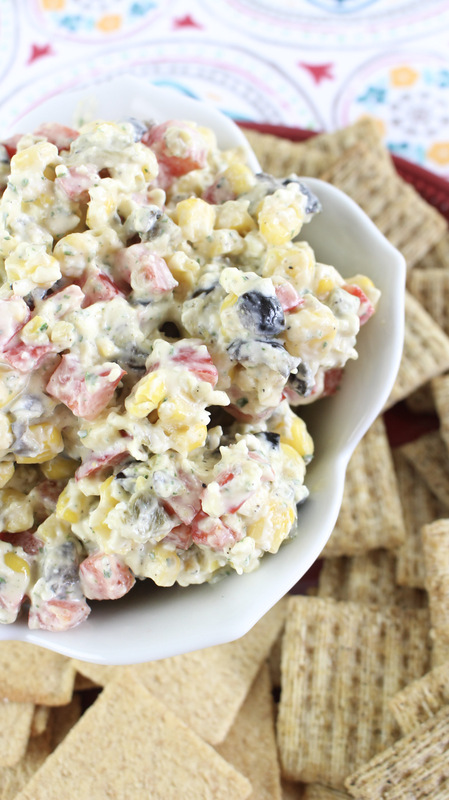 This Fiesta Ranch dip is made with cream cheese. I have seen others sour cream fiesta ranch dips. I prefer cream cheese fiesta ranch dips but I suppose that is a personal preference. 1. Combine all of the ingredients in a mixing bowl and mix well. 2. Cover and chill for at least 2 hours. 3. Serve with chips, crackers or fresh veggies. 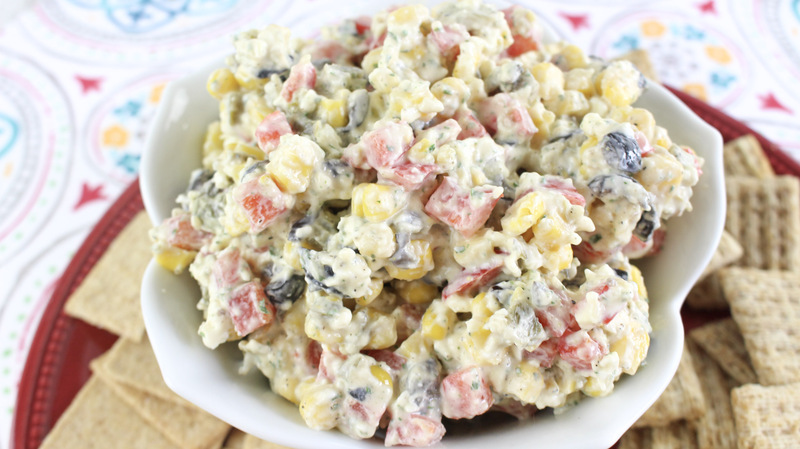 Need a recipe for your next get together Try this Ranch Fiesta dip recipe. 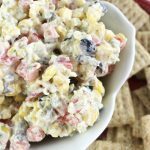 Perfect for potlucks and it is a great picnic recipe. Combine all of the ingredients in a mixing bowl and mix well. Serve with chips, crackers or fresh veggies.